Every smart phone brand are alway looking for new method of securing their user device against theft and aceess to privacy. So is not a new idea at for blackberry to impliment as Apple where the first to provide this security system. However, But reverse is the case, maybe not stolen but you forgot your password or you just bought the phone or even bee given by a family member and you discovery it has a anti theft which you wants to bypass. In this brief guide, powered I’ll be explaining how you can bypass or remove the Anti-theft protection on your Blackberry 10 devices in case you never set such or you forgot your login credentials or other reason given above. 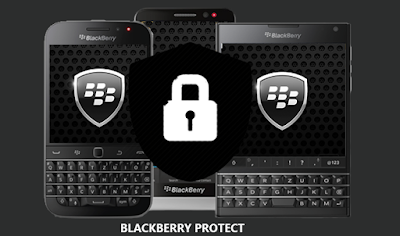 The Anti-theft protection is a security feature which is meant to help you track, block or wipe your Blackberry 10 device if it gets lost or stolen. With the release of the latest BlackBerry 10 OS version 10.3.3, your privacy and security are further enhanced with the introduction of Anti-Theft Protection within BlackBerry Protect. In other words, unless your device is returned to you, no one else will be able to setupthe device again since they do not know your BlackBerry ID credentials. It was said you cant downgrade 10.3.3 when upgraded because of the security new patch level. But however,i was able to discover a trick you can use to bypass/remove the anti theft protection without downgrade. 4. Input your working blackberry id and password if you don't have create one.